On November 17, Forum Design will take place at Villa Kujoyama. What is Forum Design Paris? The Paris Design Forum defends the idea that design is decisive in taking into account the major issues facing our societies. In Paris, from November 16 to 18, plenary sessions, workshops, project pitches, performances, and audio-visual programming will connect the ecological, political, social, economic and scientific upheavals of the world to make sense with design as a reading grid. The Netherlands, Israel, and Japan are participating to share their unique perspective on how we can contribute to creating a more sustainable world. In Kyoto, on the 17th we will focus on the transmission of ideas, with thinkers exploring the overarching forum theme “A guideline for life” emphasizing on the necessity to develop new ways of governing, producing and consuming with a particular focus on Japan. Humanity must take action to shape a positive future, paying attention to the planet, its living and non-living ecosystems; to society, its organization and its decision-making powers; attention to innovation and its orientation. Global views are changing from a supposedly infinite, exploitable world to a finite and united world. It is a critical time for shaping the values we take forward. Looking at the forum’s major highlighted issues through a local lens we will present a series of keynote lectures to the public followed by an incubation event which will propose a short-term vision for the shape of our City. These insights will be presented to Paris as universal findings to be used to further the discussion about ways we can innovate in our urban environments. With a growing aging rate and a very low birth rate, Japan is facing a great transformation of its communities. This scourge of depopulation has affected almost the entire country. The city of Kyoto, with a 14.1% of uninhabited houses, suffers from decreasing demographics, and as result many elementary schools closed. Facing this crucial problem, Kyoto municipality has implemented renovation and revitalization projects, notably by supporting projects, such as artists’ integration, creators and modern artisans’ implementation into these empty houses. The « Honmachi Escola » project, is an example of Kyoto community renovation. Here I will introduce the « Escola » project, its characteristics and the complex and varied problems it faces, which will enable us to understand the renovation process and problems of a city in community transition like Kyoto. Following the free keynote lectures we will host an incubation session (closed to the public) where invited professionals will discuss possibilities for our City. Owner of Kou Kyoto. Born in Kyoto. Raised as the oldest daughter of a family with an antique store in Furumonzen, after marrying and raising children, she established a store in Furumonzen, Kyoto in 2008. 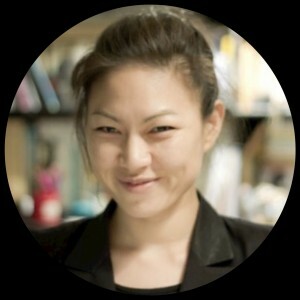 She moved to Gion, and opened an antique store Kou Kyoto in 2012. Born in the Republic of Mali in 1966. After graduating from high school, Oussouby SACKO studied in China at Beijing Language and Culture University and then at Southeast University in Nanjing, where he majored in architecture. After coming to Japan in 1991, he earned a PhD at Kyoto University Graduate School of Engineering, Department of Architecture. Focusing on topics such as ‘living space’, ‘machiya reproductions in Kyoto’, ‘community regeneration’ and ‘preservation and renovation of world cultural heritages in Western Africa (city and architecture)’, his research explores the relationship between society and architectural space from various perspectives. His publications include Literacy and Culture of Knowledge (Nakanishiya Publishing, 2007). He became an instructor in the Faculty of Literature of Kyoto Seika University in 2001 and was promoted to Professor in 2013. On 1 April 2018, he was inaugurated as President of the University. What is the impact you want to create? And are you asking yourself the right questions? Those are some of the themes Tomás handles in his study and work. Tomás van Gorp is an Art & Economics student from the University of the Arts Utrecht and a project manager / creative scientist at Bureau Design Digitale Zaken Amsterdam. 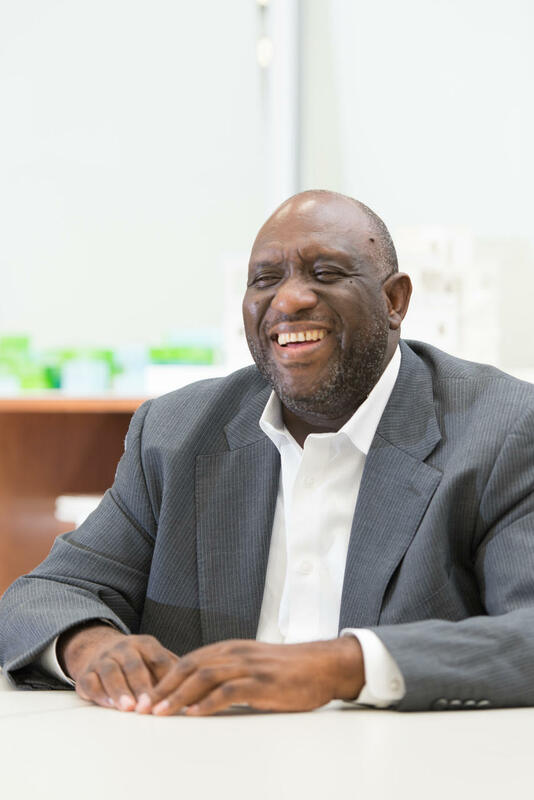 Through the design-driven R&D method design thinking, he tackles multiple challenges and sees where design can create impact. Doing research from a human-centered perspective, creating as many ideations as possible and finally testing those ideas with various prototypes to iterate the process, again and again, is a grasp of the daily tasks he works on. By stressing the importance of humans in the R&D process, he tries to show how organizations can create real value. Tomás is currently in Japan for his graduate project where he conducts research on how design can help in creating more livable cities. During this period, he will gather data via various research methods. After returning to the Netherlands in December, he will subsequently implement this data in the Netherlands by various test cases. Photographer. Born in 1973, Lucille Reyboz began her journey with photography in Africa, where she spent most of her childhood, and discovered Japan in 1999, invited by Ryuichi Sakamoto to collaborate on his opera “Life”. A portrait photographer, Lucille Reyboz also produced numerous record covers for labels such as Blue Note and Verve. While developing a prolific photography practice, she exhibited her work around the world, most notably in Visa pour l’image (2001), Phillips de Pury in New York (2007) and CHANEL NEXUS HALL, Tokyo (2011). She published several books, including Batammaba by Gallimard, Source, Belles de Bamako and Impressions du Japon with Keiichiro Hirano by Editions de la Martinière. Lucille Reyboz now lives and works in Kyoto, where she co-founded KYOTOGRAPHIE with Yusuke Nakanishi in 2013. Lighting Director. Yusuke Nakanishi was born in 1968 and is a lighting artist who travels the world, and expresses his impressions of light and shadow from his memories. He has worked as a lighting director for feature films, stages, music concerts, fashion shows and interior designs. 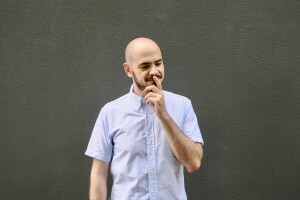 He also created the Eatable Lights object series, and has exhibited installations at the Hara Museum, the School Gallery Paris, and Nuit Blanche Kyoto. Born in Osaka Japan, in 1976. The theme of Ago’s works is “the theater works of mechanical reproduction“. Sometimes he invent it as a theater works without live acting. 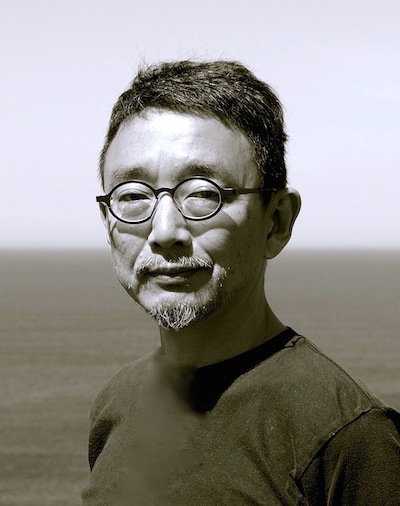 His major work includes total eclipse (Yokohama Museum of Art, National Museum of Art, Osaka, 2010) and Theater of Mechanical Reproduction: Passage III (Komaba Agora, enoco, Atelier Gekken, 2013-14). theatre “atelier Gekken” as an artistic director in Kyoto in 2014-2017. He curated a showcase “ forecast” in Kyoto experiment 2016 spring. association “Arts Seed Kyoto”. He is going to make a new theater in this association. “Theatre E9 Kyoto” will be opened in 2019. 2007 Contest of Young Director Japan, highest award. 2010 Kyoto City Arts and Culture Special Promoter. 2013-14 junior fellow of the Saison Foundation. Best Young Artist Award by City of Kyoto in 2018. 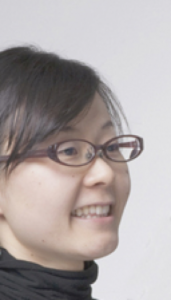 A part-time instructor at Kobe Design University and Kyoto University of Art and Design. Based in Paris, Aurore Thibout defines her practice in terms of both art and fashion. She studied fashion design in Paris Duperre Ecole Superieure des Arts Appliques and the Ecole Nationale Superieure des Arts Decoratifs. Costume designer in Paris for theatre, dance companies since 2004, or for Opera Bastille in 2016, her work is exhibited in France and abroad… She’s regularly teaching and giving lectures in France, US and Asia. Awards include The Public Grand Prix Award Hyeres Fashion Festival 2006, The Creation Grand Prix Award from the City of Paris 2013, Villa Kujoyama Art residency Kyoto 2015. Melding tradition and innovation, her creative process begins with selecting materials, and involves recycling antique fabrics and using natural dyes. Her limited editions and unique pieces reflect cultural heritage from past centuries to the present day. She regularly develops work through a process of collaboration and dialogue between various disciplines, artists and craftspeople from all over the world, crossing borders and being inspired by difference to nourish her multi-faceted approach. Working with a process of conscious creation and reflecting on the legacy for future generations, she makes focus on the potential represented by research-creation projects that incorporate and reinvent techniques to create a new approach, one that is respectful of nature and human well-being as a whole. Conceptual Design at the Design Academy Eindhoven (The Netherlands) and obtained a PhD in Design Critique from Northumbria University (UK). In his career, Giovanni exhibited at the International Design Biennale of Saint-Etienne the Fuorisalone of Milan and the Museum of Arts of the XXI century (MAXXI) in Rome among other venues. His work is part of the permanent collection of the Stedelijk Museum of ‘s-Hertogenbosch (The Netherlands). Currently Giovanni is based in Tokyo where he runs his own practice and occupies the position of an Assistant Professor at the Advanced Institute of Industrial Technology (Tokyo Metropolitan University). collaboratively by Japanese and foreign artists and artisans. Currently living in Kyoto. 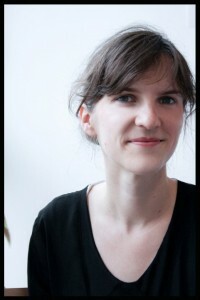 Isabelle Olivier Consultant and independent curator. Isabelle Olivier is a consultant and an independent curator. Originally based in Tokyo, then in Kyoto, she has followed the experimentations of the Japanese art scene for the past twelve years. She develops international projects that interweave music, visual arts, performances, crafts and design in Japan and China, where she is developing Wonderlab project. She launched the Tokyo edition of the Hors Pistes festival at the Pompidou Centre in 2011, was responsible for the cultural programmation at the French Institute Japan in Kansai from 2012 to 2016 as well as an advisor and a general manager for KYOTOGRAPHY International photography festival. Among other recent missions, she was a Representative of Asia Now Paris in Japan, and co-curated its Japanese Platform for the 2018 Edition. Organized with the support of the Embassy of the Kingdom of the Netherlands in Japan.